Listens to their users and understands that their success is our success. 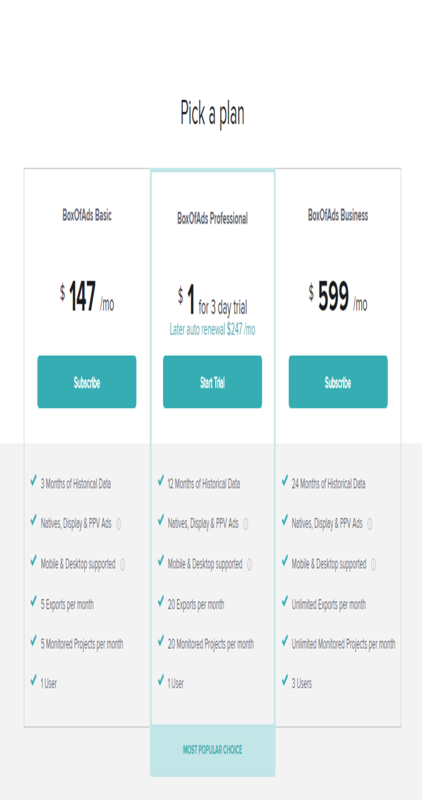 If you have website and want high response or if you are new in a campaign and don’t know how to promote your website then use of BoxOfAds will help you. This is one of the tracking tool which completely analyzes the type of activity your competition has when time comes to paid advertising. Here you can know what your competitors are doing and what you can use it in your own campaign. 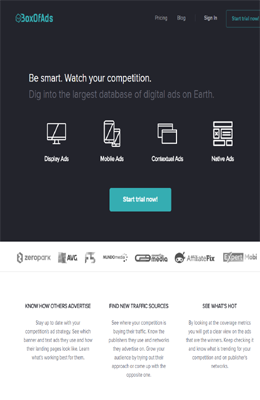 It lets you to easily search via millions of ads which they have scrapped from top PPV and then display ad networks. How To Make Extra Cash Using Spy Tools Around!